Germany is in some sense a very unusual country. Unlike many other nations which have also committed atrocities, Germany makes a deep, serious and committed effort to ensure it remembers its history. Yet on the 80th anniversary of the Kristallnacht pogroms (also known internationally as ‚the night of broken glass‘), the country’s struggle to balance this legacy of remembrance with current world events is becoming more apparent. One thing that irritates many German citizens is the idea that the history of the Nazi regime must be linked to every aspect of everyday life. They believe it creates a feeling of unnecessary guilt and shame, which permeates every level of society. The most extreme version of this belief has led the far-right party AfD to label the noble memorial to the murdered Jews of Europe a “monument to shame”. As such, Germany struggles with history in a very deep way. Should the past be remembered at all times, or should it be suspended to deal with politics in a practical way? The latter attitude is on the rise while super-charging the racist, xenophobic and anti-Semitic energies of the AfD. It is also a pointedly Islamophobic attitude. Furthermore, the attitude of seemingly removing the past from the politics of the present has also grown more respectable in established parties such as the CSU. Many members of these parties see a need to renew the “Germanness” of social policy (undermining the role migration has played in German history) and also de-linking Germany’s historic role as an aggressor from its current responsibility as a host nation to over one million refugees. Germany is currently facing a decision about whether the nation should continue to adhere to the UN Compact on Migration in December 2018. Following the U.S. and Hungary, Austria and the Czech Republic have also expressed their intention not to sign the Compact. As reported by Solidar, “Approved in July 2018 by all 193 UN members except the US, the Global Compact for Safe, Orderly and Regular Migration is an intergovernmental agreement establishing a common understanding of all aspects of international migration and a framework for comprehensive international cooperation. While non-binding, the Compact includes actionable commitments to help countries address international migration collectively on a human-rights based approach. 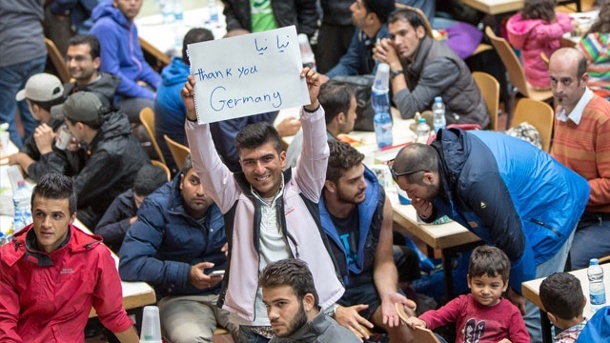 Germany’s past is directly linked to the migration pact; Germany, as the central player in the EU influences the policy and attitudes of the entire continent, if not the world. As such, its attitude to its own history acts as an example of how people should respond to humanitarian crises on a global scale. If Germany pulls out of the Compact now, it will have betrayed its own commitment to its own history. Rwanda and Ethiopia join a select few, predominantly from Europe, who have achieved equal representation for men and women in ministerial positions.